LONDON--(BUSINESS WIRE)--Technavio has announced their latest drug pipeline analysis report on onychomycosis. The report includes a detailed analysis of the pipeline molecules under investigation within the defined data collection period to treat onychomycosis. This report by Technavio presents a detailed analysis of the market, including regulatory framework, drug development strategies, recruitment strategies, and key companies that are expected to play an essential role in the growth of the market. 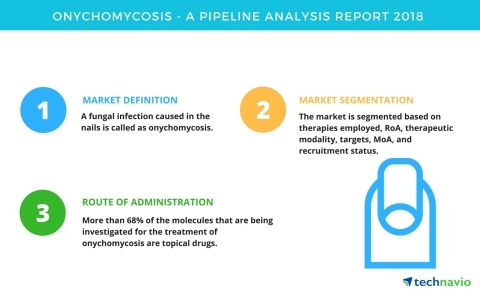 Technavio has published a new report on the drug development pipeline for onychomycosis, including a detailed study of the pipeline molecules.